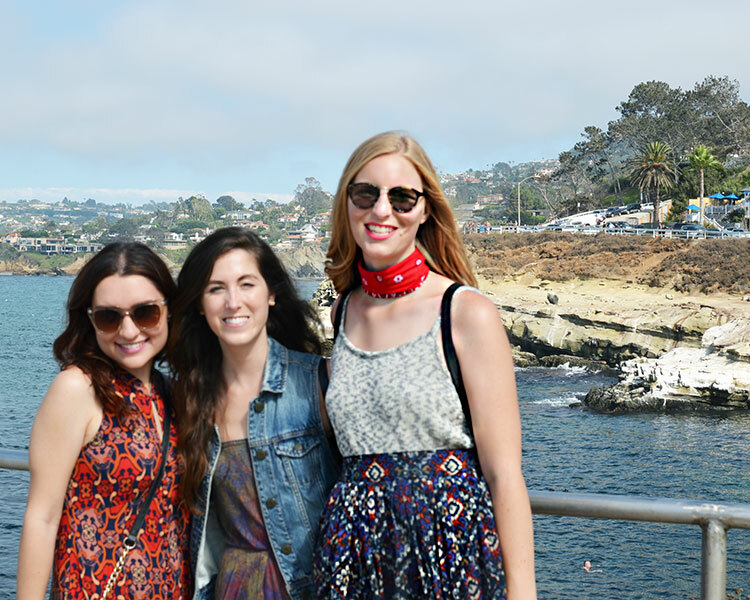 At La Jolla Cove with my two best friends, Candace and Natalie! I cannot believe it is already the middle of August. Soon Labor Day will come around, signalling the official end of summer, and before you know it, Christmas will be here! Okay, okay, maybe I'm getting ahead of myself, but dang, summer went fast. While my summer only comes to an end once I find a job (#HireTheFashionBarbie) Candace goes back to school in a few weeks and Natalie is starting a new job in Northern California, so we decided to do a fun day in La Jolla to toast to the end of summer and celebrate all these new chapters in our lives. Yay! 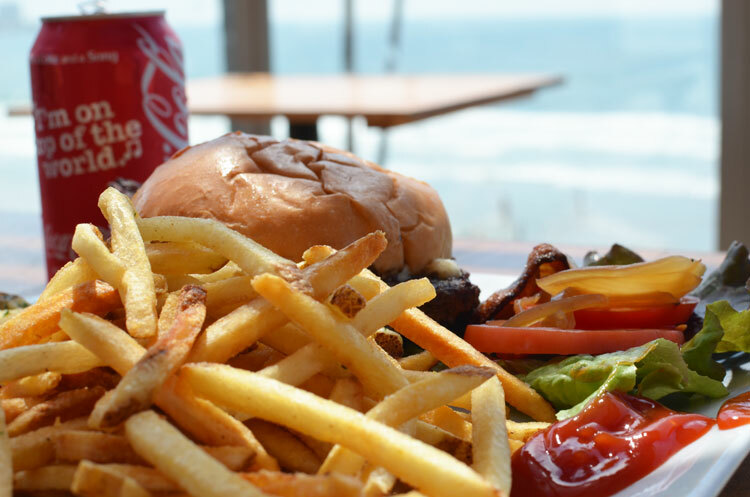 First, we hit up Caroline's Café for lunch with a gorgeous view of the ocean. I kept it classic with a bacon and bleu cheese burger. 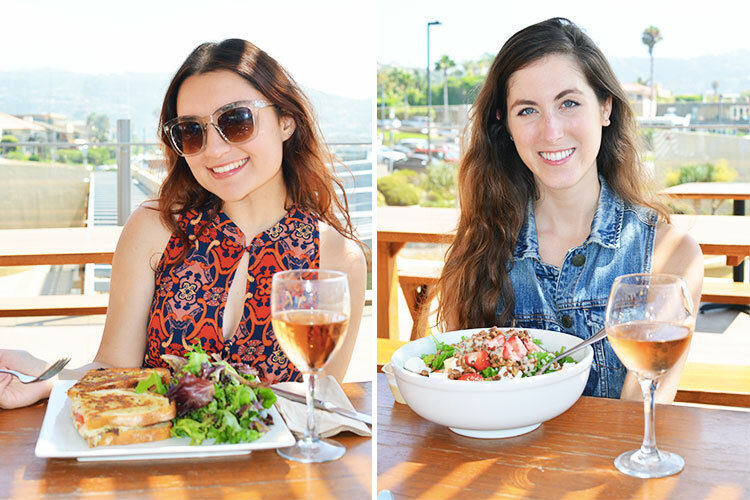 Natalie got a yummy strawberry and goat cheese salad, and Candace ordered a panini. Lunch was delicious, but the view was even better. 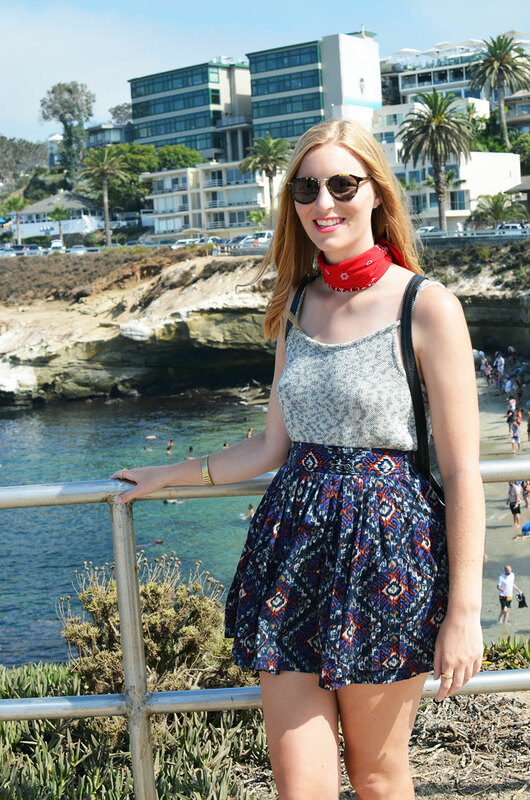 After that we made our way down to La Jolla Cove. 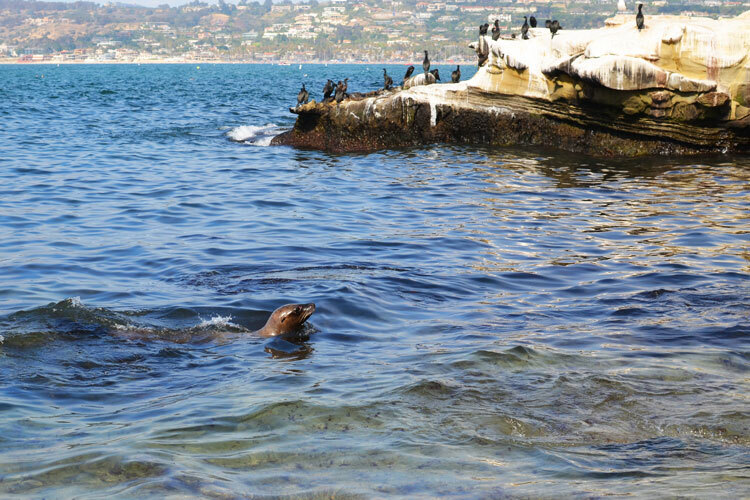 La Jolla is full of cute boutiques and high end shopping, but my favorite part is the cove, where the sea lions are! 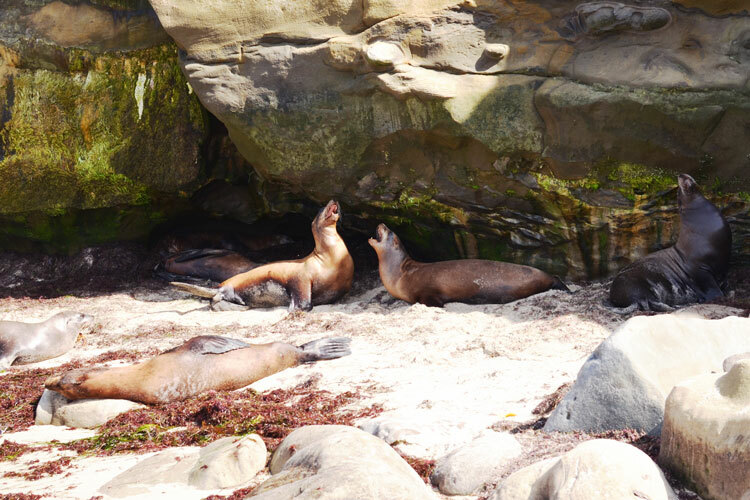 Call me an animal nerd, but I love watching the sea lions bark at each other and swim in the ocean. Plus, quite a few of them had come up onto the beach in search of shade, so we were able to get quite close. A perfect day at the cove! 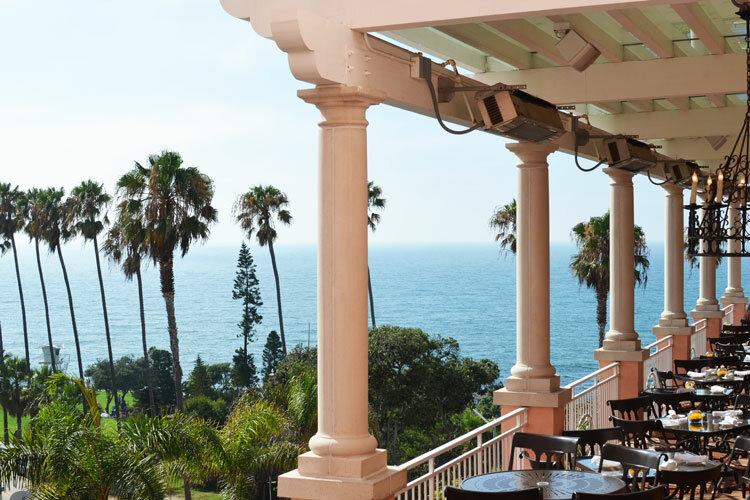 Following our trip to the beach, we headed back up the hill to the Valencia, a gorgeous Spanish style hotel that overlooks the sea, for a little happy hour action. Five-dollar wine? Yes, please! Plus, we shared beignets and crepes because #TreatYoself, that's why. 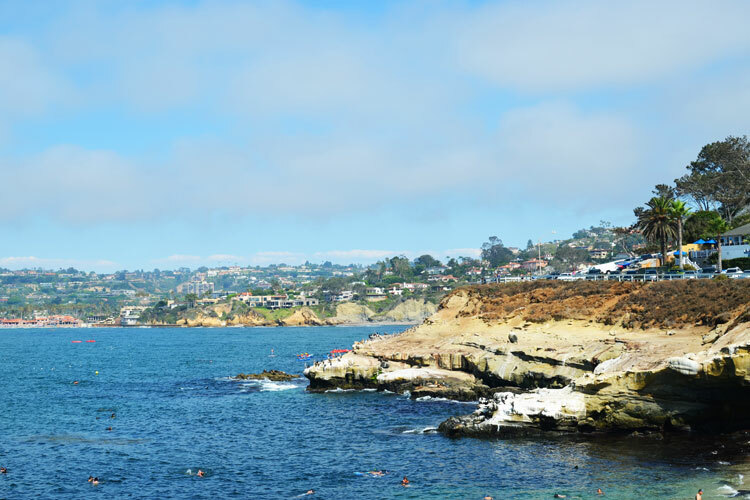 Anyways, if you're ever in La Jolla, check it out. The views are phenomenal, and the hotel is pink! 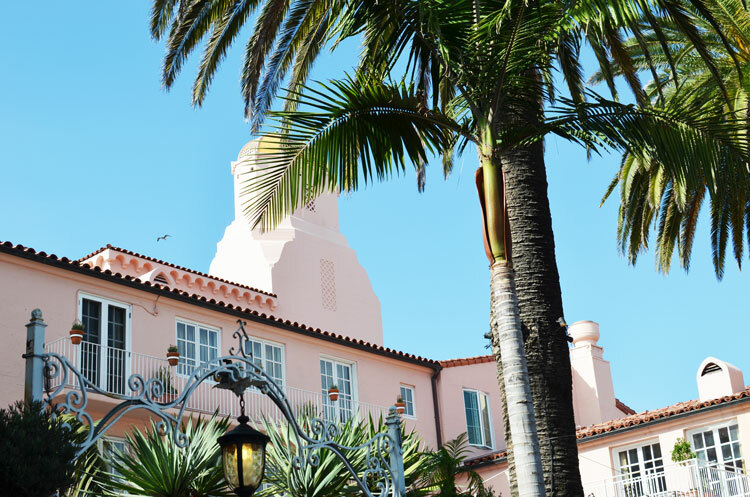 The best hotels are pink hotels! 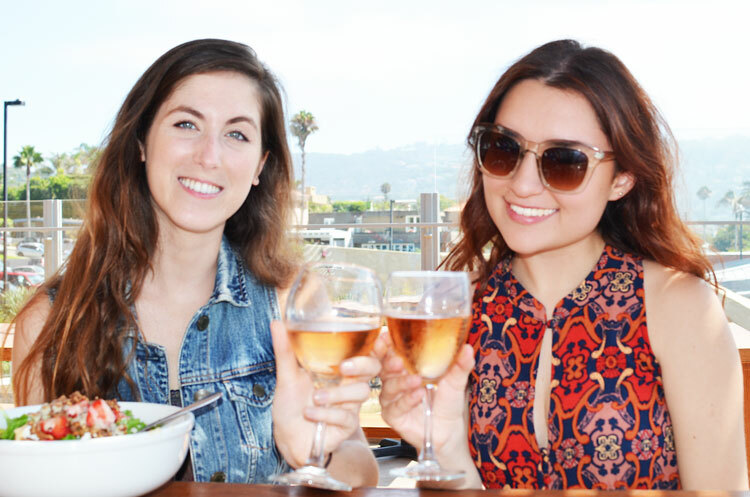 How are you celebrating the last few weeks of summer? OMG no way! 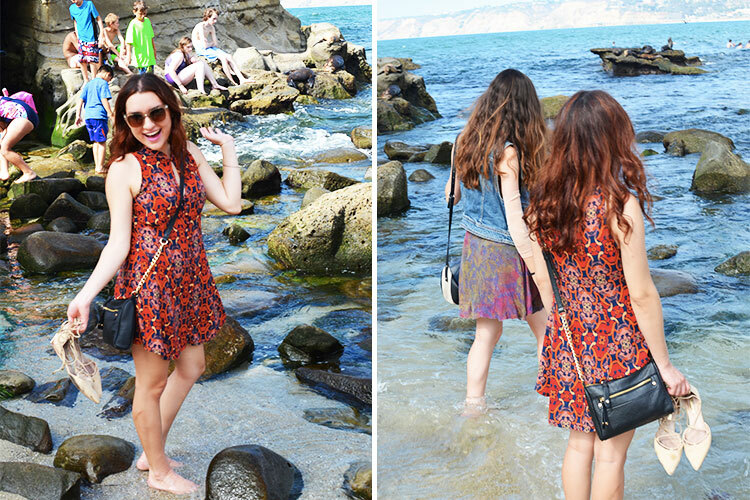 UCSD is so great, and lucky that you got to spend so much time in La Jolla! Such a fun adventure with friends. Café and the beach are my hang out places too when on holidays. Yes! 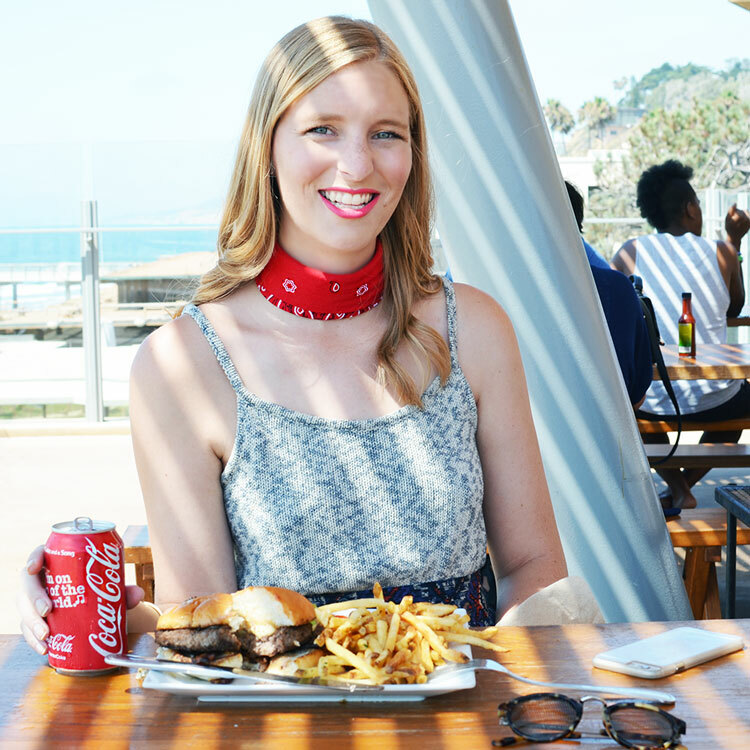 It's just so fun to get fresh air and sit and eat with friends! Thanks for reading! so fun! Love the bandana accessory! Thank you, Lacee! I can't get enough of bandanas recently!